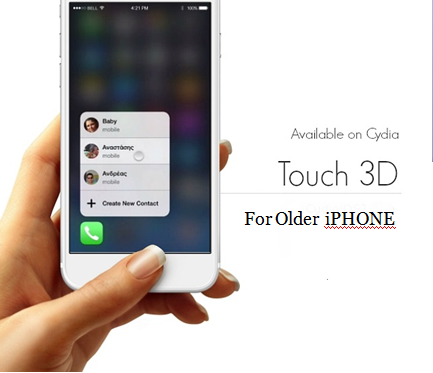 3D Touch is the latest feature of iPhone 6s and 6s plus.It enable users carry out “Quick Actions” from the home screen.It allow user to perform the task even more faster than earlier. 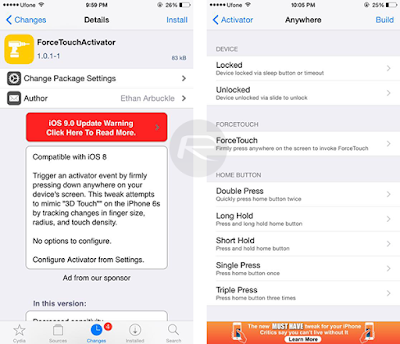 Savvy jailbreakers launched a new free tweak called ForceTouchActivator, which tries to impersonate 3D Touch by using long presses to expand the functionality of older iPhone. 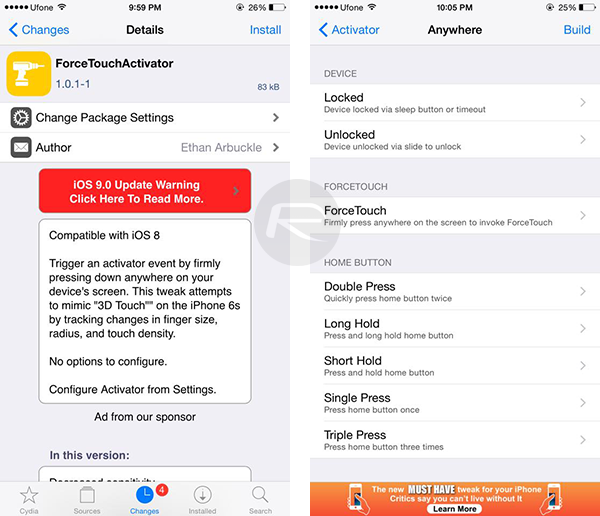 Currently this tweaks is limited to carry out “Quick Actions” from the home screen by doing a long touch.